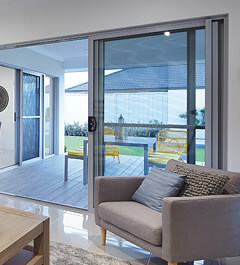 If security screening is desired for your Carinya Residential Door or Window, Invisi-Gard is your ideal match for durability, protection and performance. 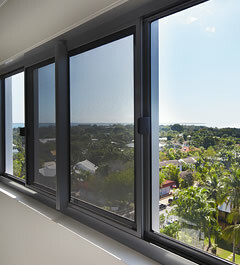 Fixed window security screens are becoming more of a requirement for the Invisi-Gard security conscious home owner. 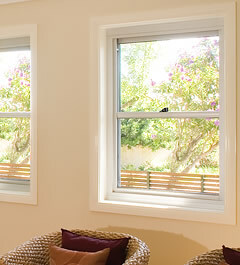 New homes and renovations of today often incorporate large windows as features in the overall design of the home. 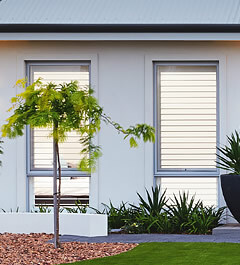 To cover these windows in conventional security grilles would seriously detract from the visual appeal of the home and as a result of this, security is often not an option. 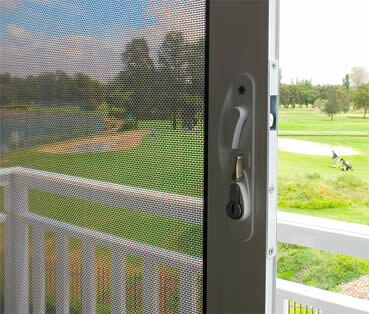 Product strength and performance are key factors in deciding which security screens to purchase. 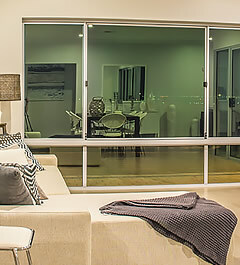 All Invisi-Gard fixed window security screens have been tested to Australian Standards AS5039-2003 so you can be assured that when choosing Invisi-Gard, you are choosing the finest in Stainless Steel Security Products. 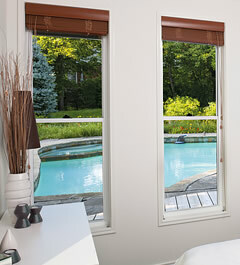 Invisi-Gard Sliding security doors are growing more popular in today's new and renovated homes. 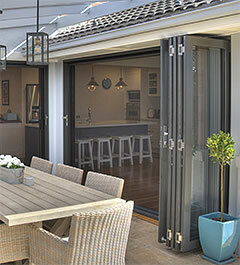 Many homes incorporate one or more sliding doors as access to entertainment areas, backyards and patios. 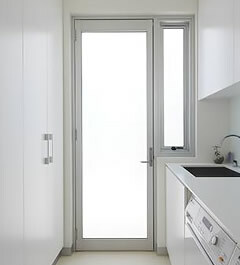 In the past it has been difficult to add security doors that do not detract from the views or obscure vision. 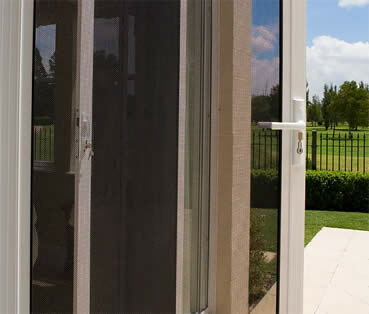 Invisi-Gard sliding security doors offer excellent security without compromising the vision through the door. 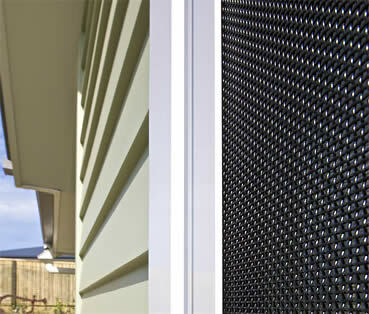 Invisi-Gard Hinged security doors are often the first line of defence for the home owner. Most homes incorporate hinged doors as part of the front entry and many homes incorporate an ornate timber door as a feature of the front of the house. In the past it has been difficult to add security doors that do not detract from the decorative value of the timber entry door. Invisi-Gard Grade 316 has virtually the same mechanical, physical and fabrication characteristics as 304 with better corrosion resistance, particularly to pitting corrosion. There are some key differences between the two grades of stainless steel that pose both benefits and shortcomings depending on which grade you choose. Due to these differences in chemical composition, 304 Stainless Steel is not as corrosion resistant as 316 Stainless Steel. "Tea Staining" and surface pitting or corrosion, are potential problems with 304 grade stainless steel but pose less of a threat to products manufactured from 316 grade stainless steel. Some companies claim that their 0.9mm 304 grade stainless steel mesh is stronger than Invisi-Gard's 0.8mm 316 Marine Grade Stainless Steel Mesh because it is thicker. Invisi-Gard 316 Marine Grade Stainless Steel Mesh gains its strength from the Ultra High Tensile wire (900 MPa) from which it is woven. Even thicker wires can be easily cut if they are "Soft" or of low tensile strength. Alspec have had Invisi-Gard mesh independently tested to Australian Standards and Invisi-Gard 316 Marine Grade Stainless Steel Mesh passes the Australian Standards AS5039-2003 for Knife-Shear.